Each year, the National Coalition for the Homeless and the National Student Campaign Against Hunger and Homelessness co-sponsor National Hunger and Homelessness Awareness Week. Throughout the week, individuals and communities across the country work to bring greater awareness to the issues of hunger and homelessness. This year, our FRNds at West Virginia University went above and beyond to cultivate this awareness in their community, hosting a week of events on WVU's campus in Morgantown, West Virginia. FRN at West Virginia University began the week by hosting a presentation with local middle school students. They partnered with the STEMists team at Suncrest Middle School in Morgantown; as part of the First Lego League Challenge, the middle schoolers were tasked with combining their focus on Lego robotics with sustainability. They chose to focus on food, creating a plan to build a garden and compost system at their school. The students also offered to help FRN at West Virginia University recover more food by providing them transportation. With a great turnout from the students, parents, and officials from Suncrest, Monday's event was an all-around success! 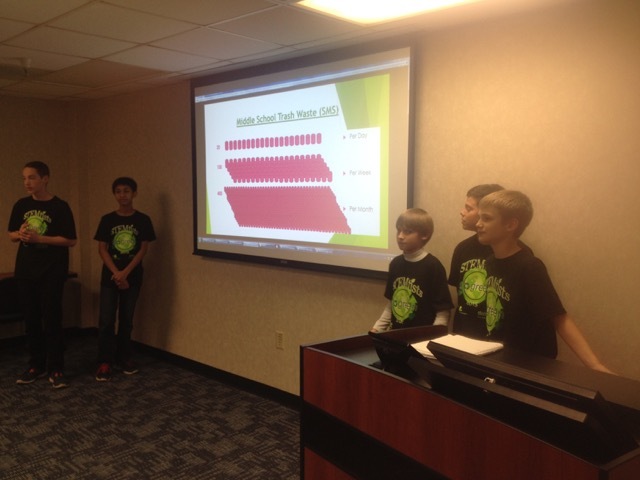 Middle schoolers in Morgantown, West Virginia, give a presentation on waste as part of FRN at West Virginia University's National Hunger and Homelessness Awareness Week event series. They continued the week by hosting a panel event on Tuesday. Titled "Hunger: The Cost in Your Community", the panel included Zacary Tardiff, the director of Empty Bowls Monongalia County, an organization that operates fundraisers to provide grants to local food assistance programs; Alison Peck of WVU College of Law, a specialist in food and agricultural law; Kandi Shafer, the regional director of Catholic Charities WV; John Sonneday, the director of the Coordinating Council on Homelessness; and Melissa Hernandez, a representative from FRN at West Virginia University. 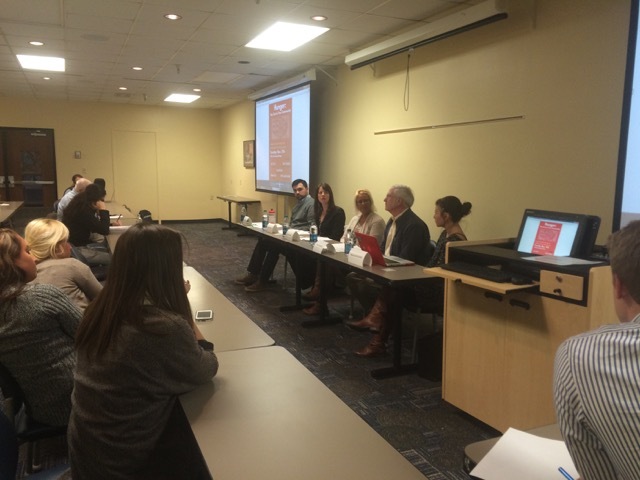 FRN at West Virginia University hosted the panel discussion "Hunger: The Cost in Your Community", bringing together multiple voices in their community to help raise awareness on the issues of hunger and homelessness. Wednesday brought food safety to the forefront, as the chapter members participated in Monongalia County's official food safety training. FRN at West Virginia University followed the training on Thursday with a screening of Just Eat It, a documentary on food waste and food rescue. Hilary Kinney, one of the leaders of FRN at West Virginia University, reflected on the week of events stating, "All in all, I think it was a successful week...I think the best event of the week was the panel. It brought together individuals from very different backgrounds who are all interested in ending hunger and/or homelessness in our area. " Hilary, one of the leaders of WVU's chapter, with Monday's panel speakers (from left: Hilary Kinney, Melissa Hernandez, Zacary Tardiff, John Sonneday, and Kandi Shafer. A huge congratulations to FRN at West Virginia University for what was most definitely a successful week! To read more about their efforts surrounding National Hunger and Homelessness Awareness Week, check out this article. To find out more about FRN at West Virginia University's work, check out their chapter page and follow them on Facebook. National Hunger & Homesslessness Awareness Week took place this year on November 14-22. To learn more and find out how you can be a part of next year's events, click here. Older PostThe #GivingTuesday #FRNdzy results are in!